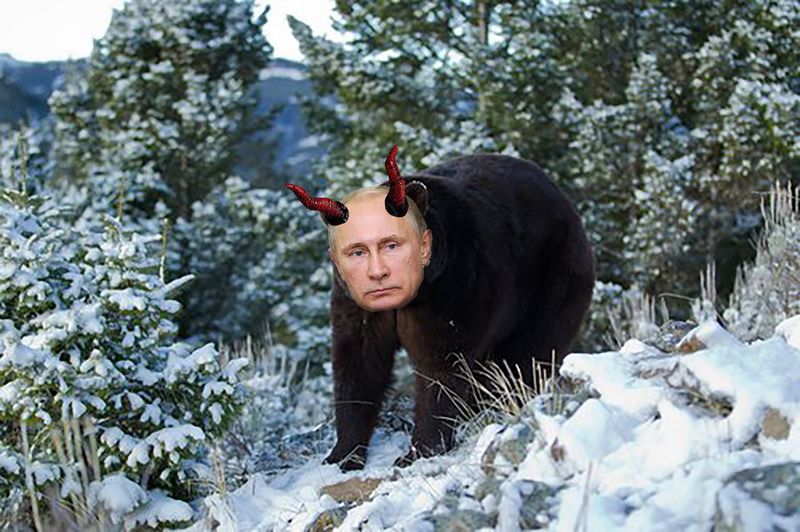 The FBI has announced today that speculation linking president elect Donald Trump and the Northern Bear Devils, from far beyond the frozen lake, is founded. This announcement comes shortly after Donald Trumps recent denial of these accusations, and right before the end of the known universe, depending on which timeline you currently inhabit. After being confronted with the new evidence however, president elect Trump gave the following statement before of packed room of shrieking void crabs. When pressed, Donald Trump commented that his relationship with Bearlord Pootin was only regarding the overthrow of the United States government through exploitation of The Void, but not funny business. “Nothing weird,” stated Trump. When countered with the argument that this is flatly illegal, Don Trump opened his face and let thousands of tentacle cosmic horror’s spill forth in a black bubbling mass, screaming and writhing in a way that is impossible to describe using any human dialect.